If you are looking for Laser Targeted Forex traffic, then you have come to the right place. There are many types of advertisements available. 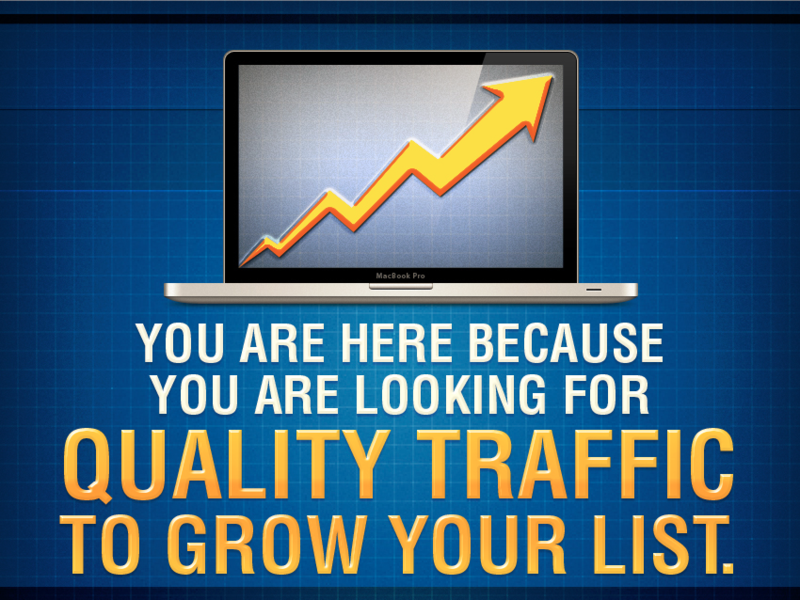 However, many marketers will agree that arguably the best type of traffic is list traffic. Because list traffic is referral traffic or warm traffic which provides much higher conversion rate. While we cannot promise your conversion rate as it’s much dependant on your sales funnel, we can assure you that if your offer is good, our traffic will convert for you. We can deliver up to 1000 unique visitors for you by sending your offer to our loyal subscriber list which is collected from this very website. This is the best type of traffic as it’s all warm traffic right to your Free Forex Offer. We guarantee the number of unique visitors to your Free Offer and will provide you a Real-Time Tracking link so that you can also monitor the number of clicks that we send out to you. Our Cost Per Click is $0.80 (non negotiable) and minimum order size is 500 clicks. Although we complete most of our orders within 3 days, we will commit to a maximum delivery of 7 days. This CPC is applicable to Free Download or Indicators. If your offer is a Webinar, then the cost per click is at $1.20. We have to say that we are very strict on the offer that we send out to and we will only send out to offers that are Free Offers. If you think you have a good offer, then contact us by writing to support [@] forexstrategieswork.net with the link to your landing page. We will be in touch with you if we find that we are a good match. Kindly include your SKYPE ID so that we can be closer contact with you during the solo run.